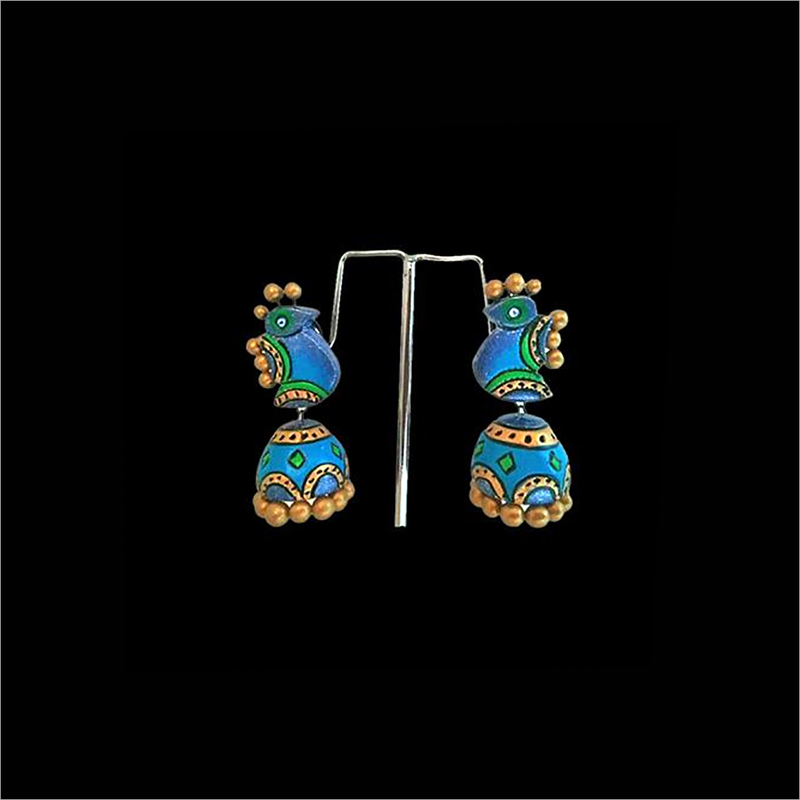 We are counted as a leading supplier and exporter of Terracotta Hand Painted Blue Jhumka that is available in excellent packaging for safe transit. 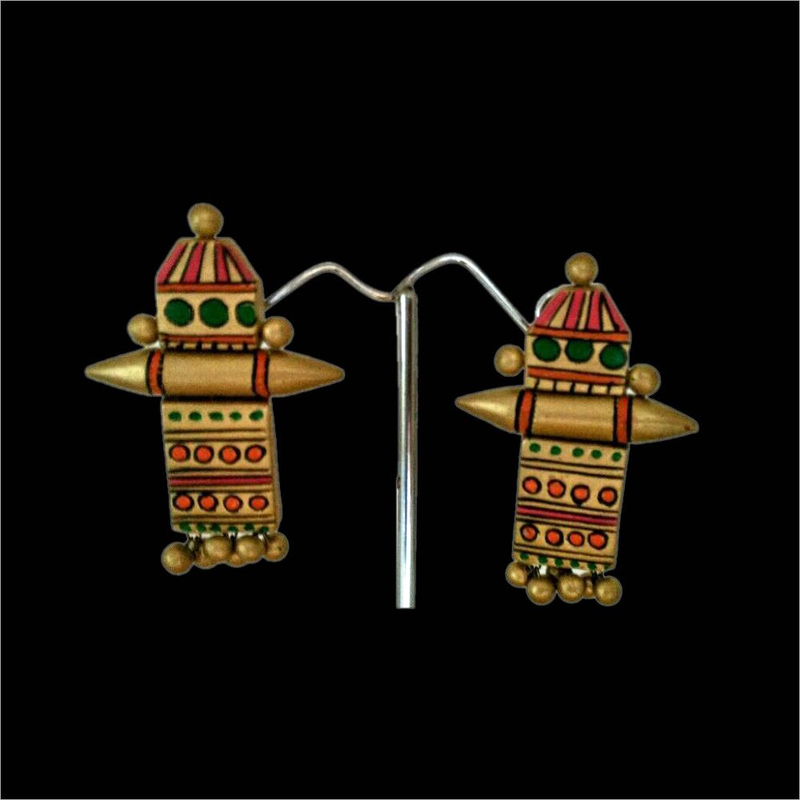 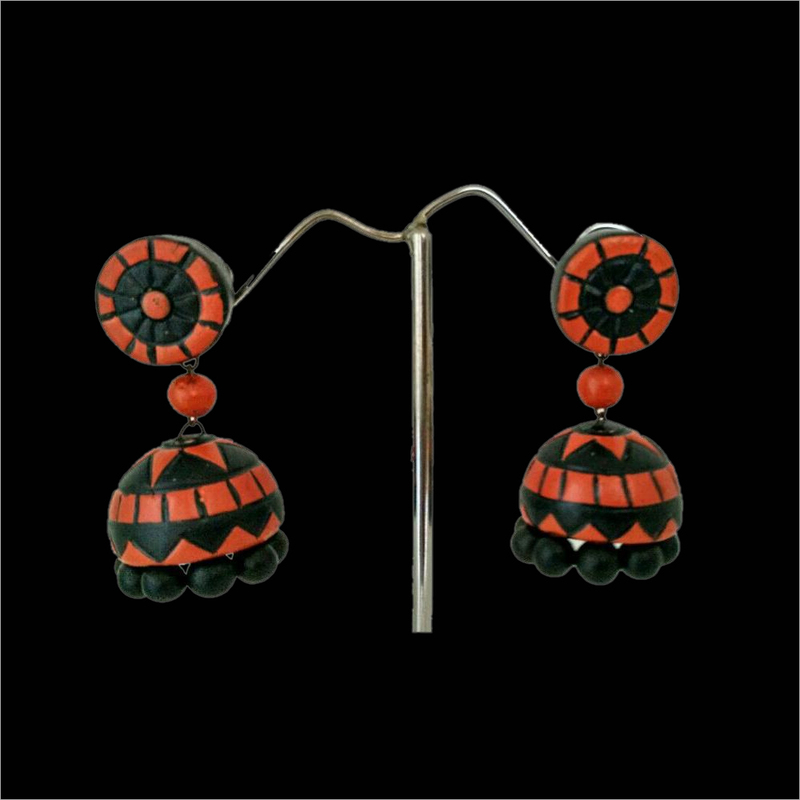 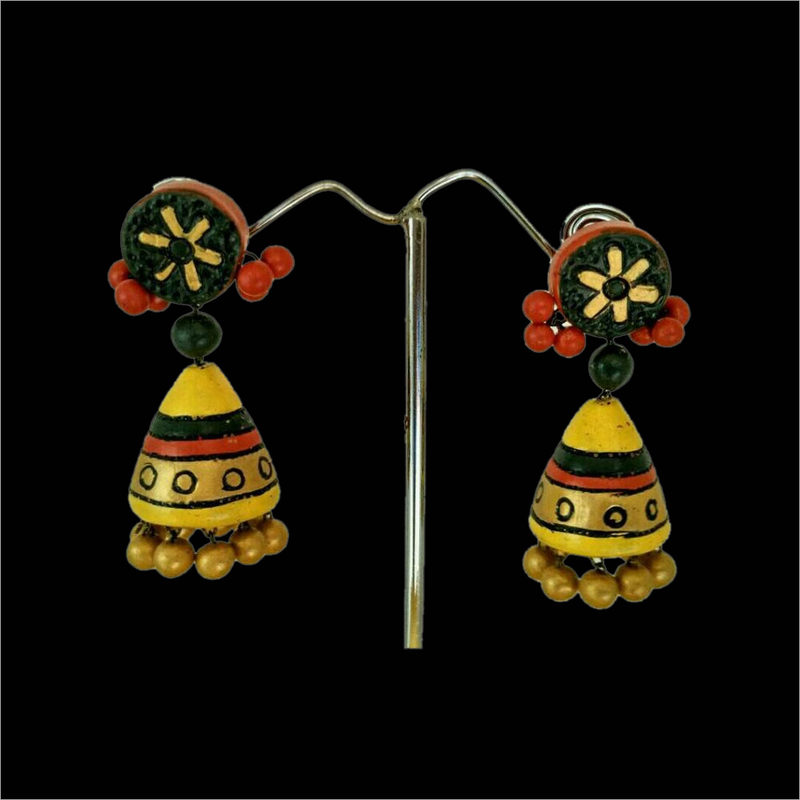 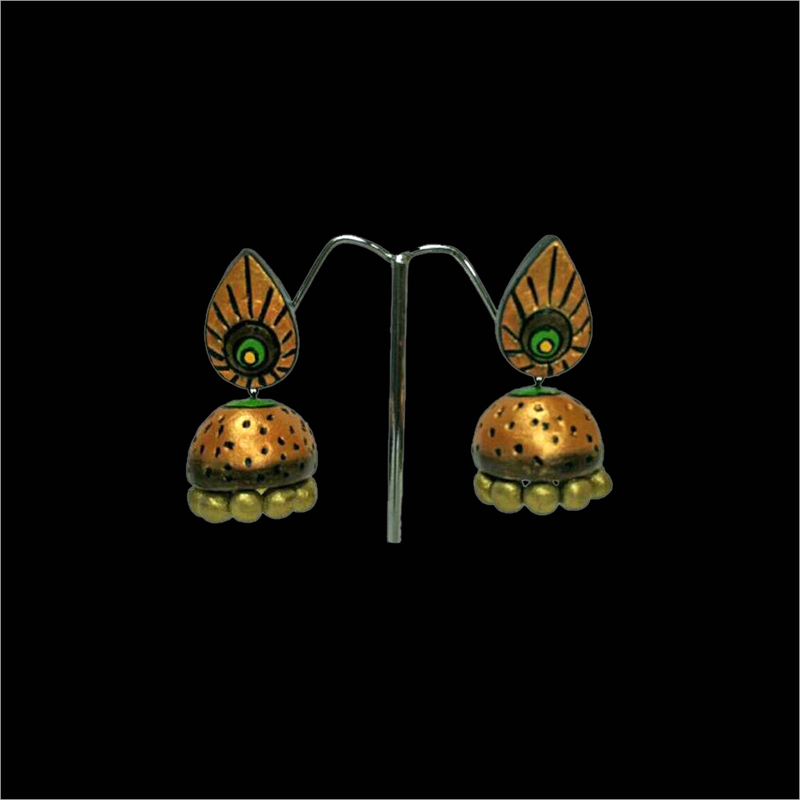 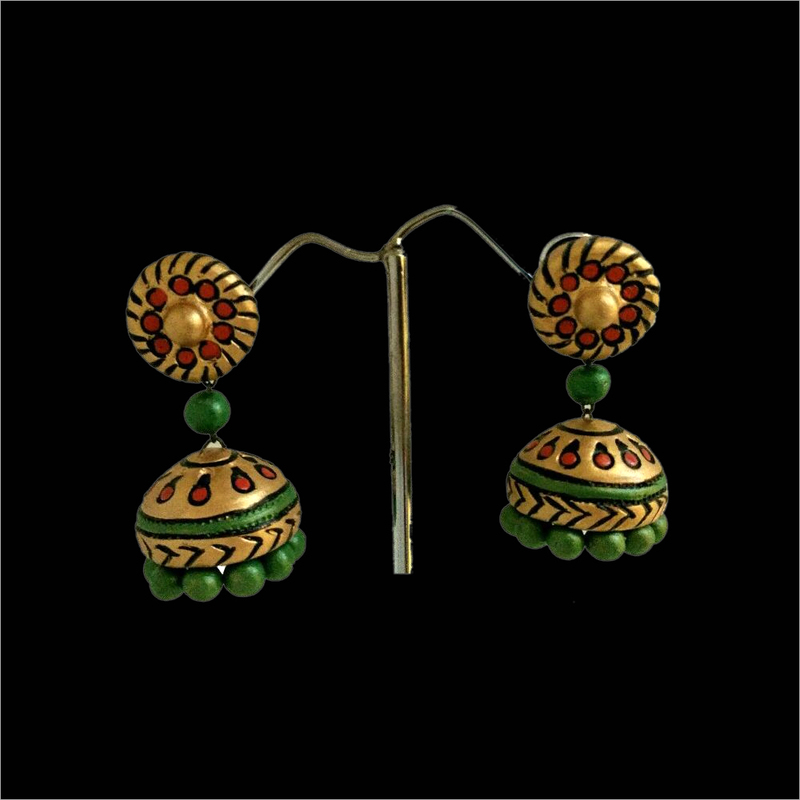 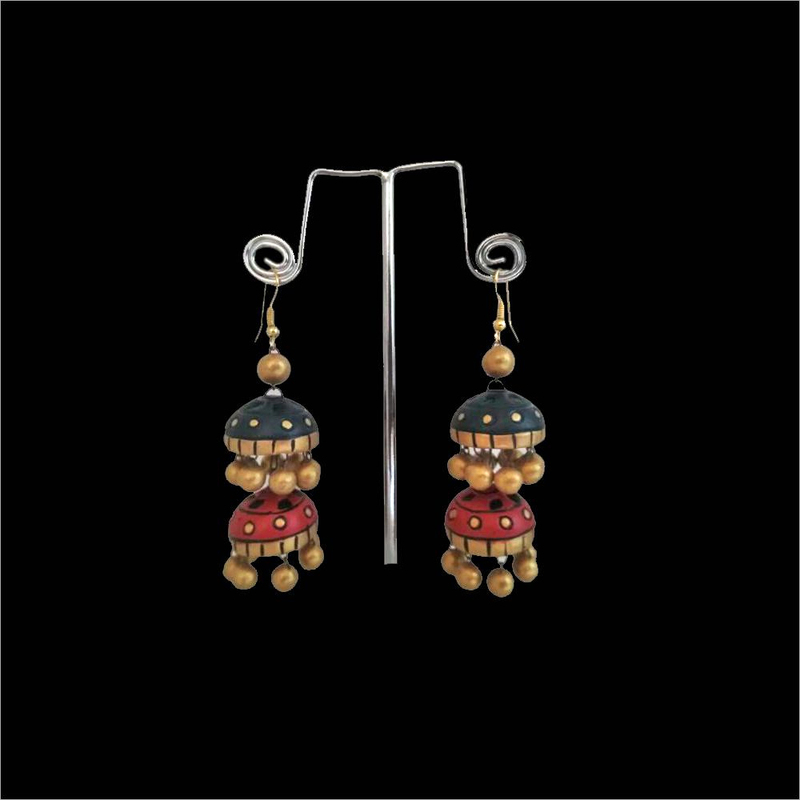 This jhumka is precisely designed by using teracotta materials at our vendors' end. 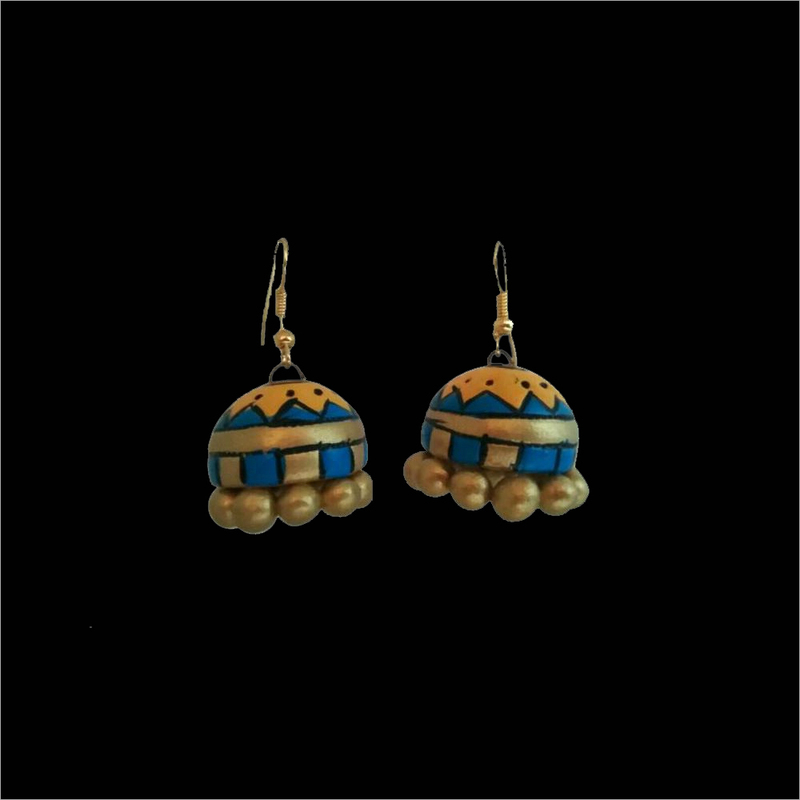 To carve it in attractive pattern, the skilled artisans use modern carving tools. 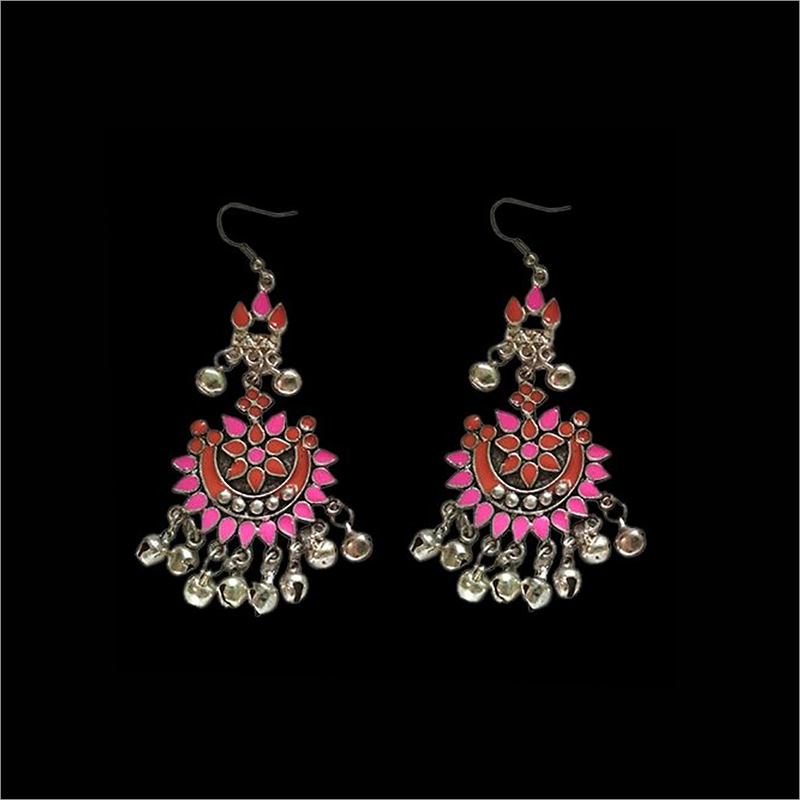 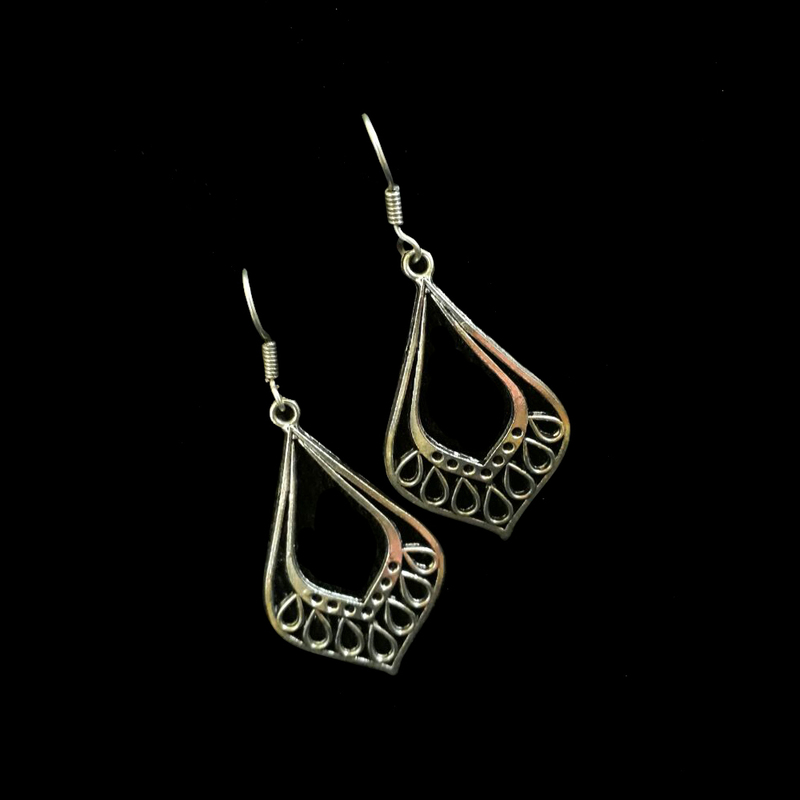 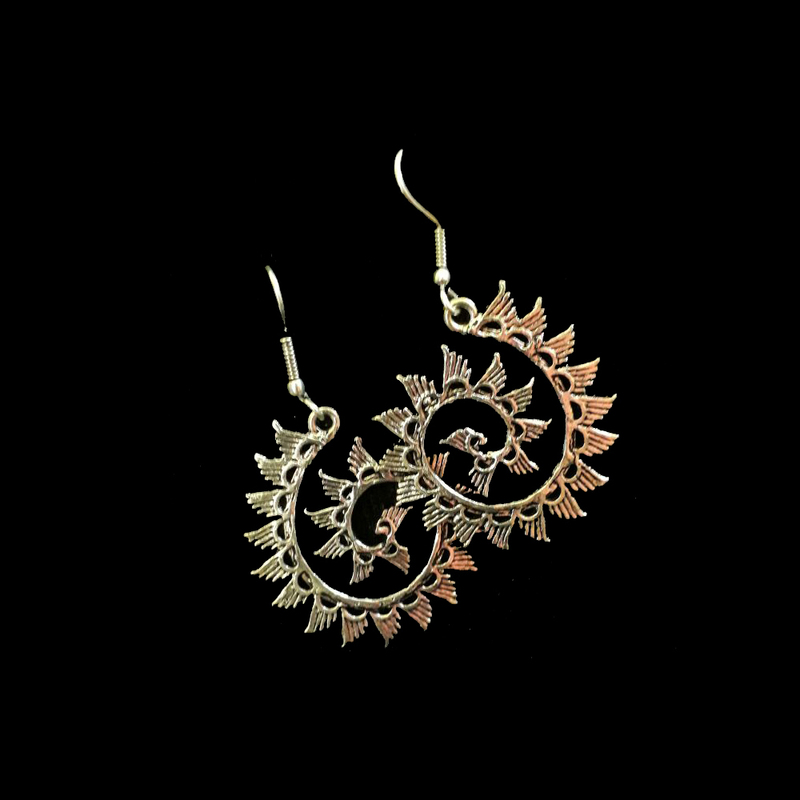 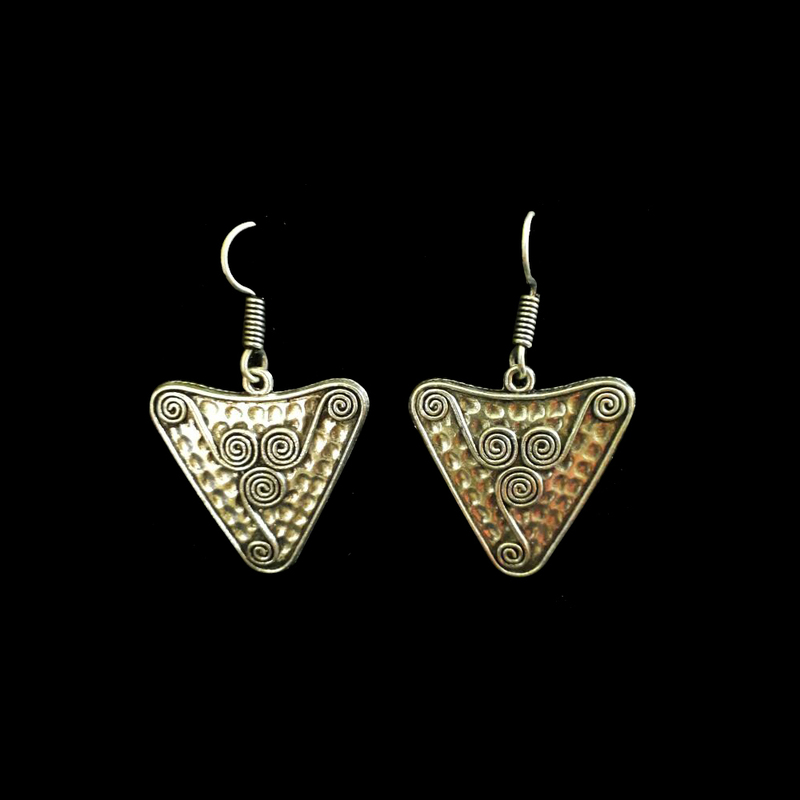 It can be paired with any traditional outfit and provide a nice look to the wearer. 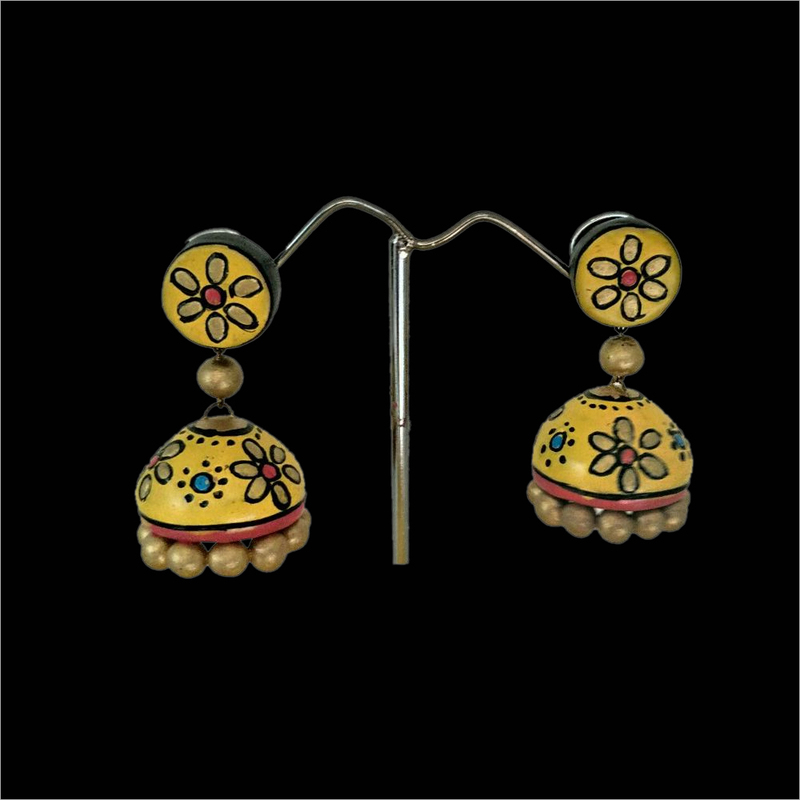 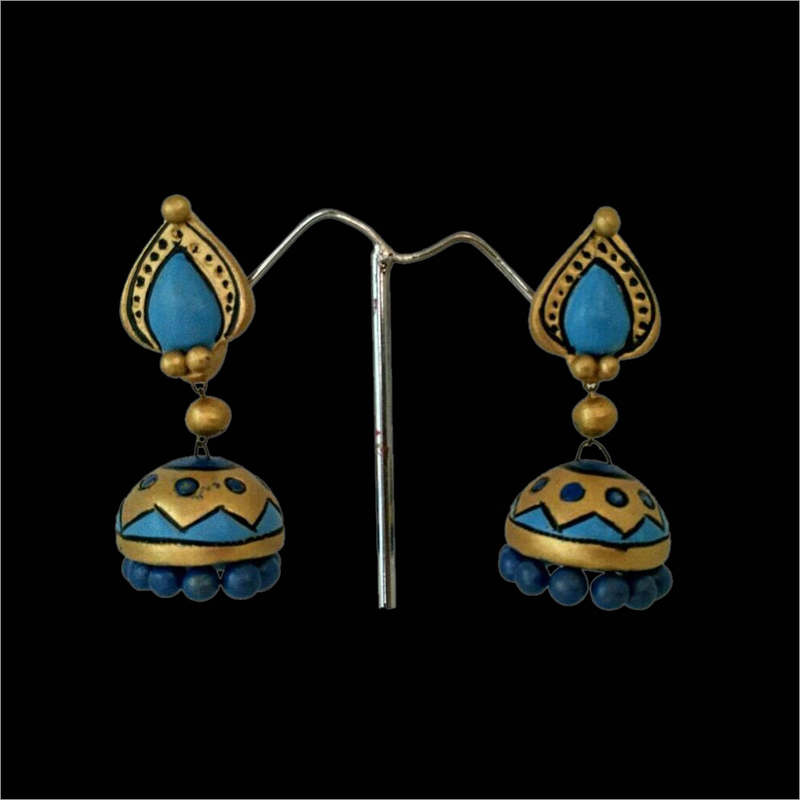 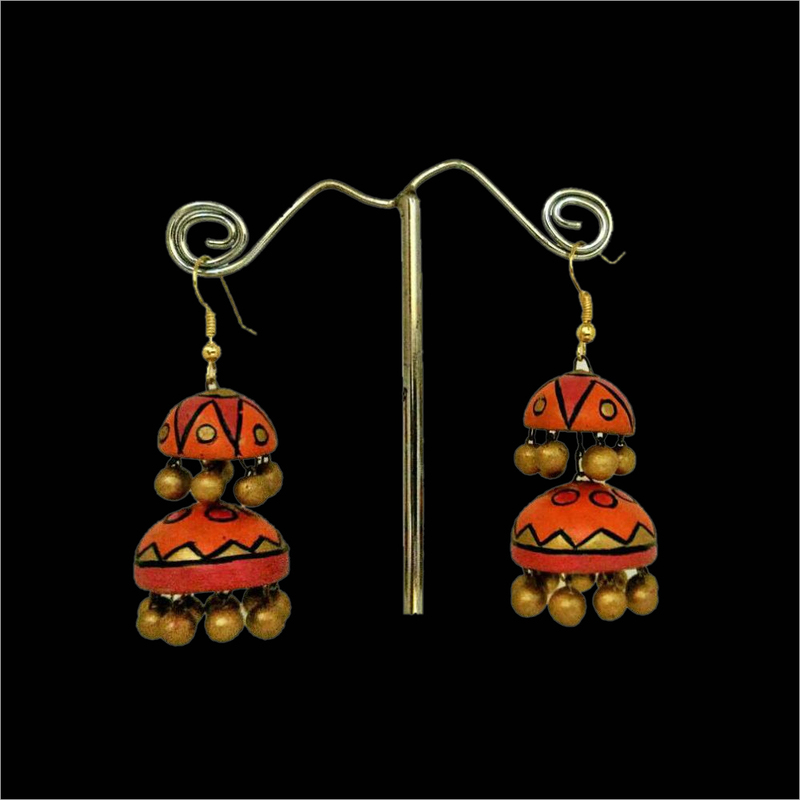 The Terracotta Hand Painted Blue Jhumka is attractively packed for gifting purpose.